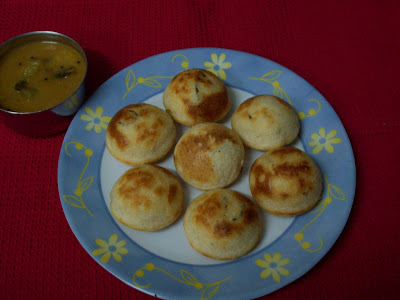 If you have any leftover dosa batter, vellai appam / Kara Appam - Kuzhi Paniyaram (all are same)are a fun food to make and even more fun to eat as a breakfast or snack. 1. Mix all the items with the seasoned idli batter. Add little water to this batter. 2. You should be able to take out the batter with a spoon and put in the "Kuzhi Paniyaram"or appa karai kal. 3. Add little oil to each crevice in the kal and fill the batter in. Cook in medium flame and turn it around with a fork. 4. Serve with chutney / sambar. Gita, sireesha, Kitchen flavor, has passed me Chocoholic Award. I am very much thrilled by this award.So they honoured me with I'm a Chocoholic award. Thank you a lot .Thank you for sharing it with me.. I would like to pass the sweetness of Chocolate to my friends.n33ma, Malar Gandhi,SriPriya, Vidya. Oh shree, I am certainly thrilled! 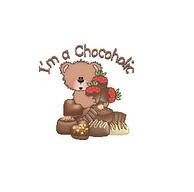 Do you think I am qualified to be a chocoholic? I am excited! Shree, let me know the rules of posting and how many people should I tag...! Thanks for thinking my name again! 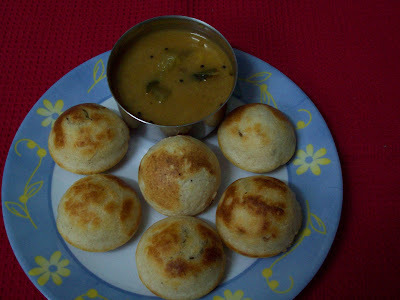 Kuzhi paniyaram looks yummy & delicious.... Thxs for thinking me.. congrats on ur award..
Is this the same as uppu appam? Just curious. Thanks for the award jaishree. Congrats on your award and thanks for sharing it with me.Appam looks wonderful.My mom makes something similar to this and I love it. Looks delicious:) Congrats on ur awards! Kara appam looks tempting.Please tell me Can I try making it in cup cake making tray..inside the oven? Appam is always my favourite.. I too make it with dosa batter and it comes out tasty! Welcome Anu, sujatha here and thanks for dropping comments.